Playwrights’ Workshop Montréal has put out a call for submissions for their 2011 Glassco Playwrights’ Residence in Tadoussac. It is an opportunity for playwrights to spend two weeks in September working on their play adaptation or translation in an idyllic setting. 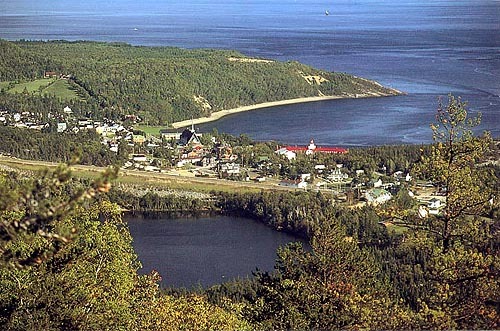 Tadoussac is a lovely and historic town where the Saguenay River meets the St. Lawrence River. It is a popular spot to go whale watching because the waters are very cold and deep. The program was founded by the late director Bill Glassco. It takes place in his old family home. In remembrance of Bill’s commitment to the fostering of the dialogue between cultures, languages, and experiences, through the development and translation of work for Canadian stages, the residence is being renamed this year in his honour. Playwrights’ Workshop Montréal is now accepting submissions for the 2011 Glassco Playwrights’ Residence in Tadoussac. The residency will take place September 14th to the 25th, 2011 at the home of the late Bill Glassco in Tadoussac Québec. The Glassco Playwrights’ Residence in Tadoussac is made possible with the support of the Cole Foundation, and the friends and family of Bill Glassco. The Residence allows Québec and Canadian playwrights and their translators, as well as adaptors, to come together for ten days in Tadoussac, Quebec, to work in depth on their translations/adaptations. The chosen participants are provided with a unique opportunity to focus on translations of contemporary French and English plays from Quebec and Canada (occasionally projects in other languages are considered), as well as theatrical adaptations, and to share expertise in a retreat environment. Linda Gaboriau, one of the country’s most respected translators and Governor General Literary award winner, hosts the colony and is the dramaturgical adviser for the translation and adaptation projects. We are accepting submissions of plays that are slated for translation or adaptation. The projects must have committed interest from a theatre company for a possible production. Please send us a short description of the project, the name of the translator and playwright, and details of the production interest. One of the selection criteria for translation projects will be the availability of both the playwright and the translator to attend the residency together. Deadline for submissions: April 15th, 2011. Subject: The Glassco Playwrights’ Residence in Tadoussac.